At WHISK, cooking is delivered with clarity and designed to satisfy the daily cravings with the best produce sourced from around the world: from award-winning Australian beef and Japanese Yamato pork, to top grade foie gras from France and jumbo scallops of the cool North Atlantic, carefully prepared in a way to let the beautiful seafood and meat shine through. 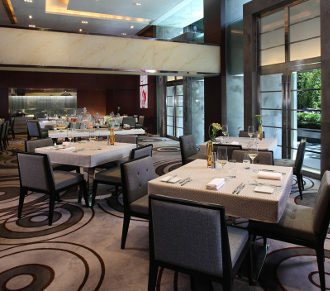 While exciting lunch menu rotates weekly, for dinner the restaurant offers easy-to-make choices. Be it a perfectly charred Black Angus rib eye, just a tender crab cake followed by an unforgettable dessert, or a complete tasting menu with wine pairings, WHISK doesn’t limit you with conventions nor intimidate with complexity.